It’s not easy being the son of a superhero! Jonny and Tommy Atomic are no ordinary boys. Their dad is the most famous superhero in the world – making them pretty super too! The bad news is that they still have to go to school and tidy their room. And they’re definitely not allowed to use their superpowers, or tell anyone their real identities. But the scary-yet-good news is that, at long last, the boys are about to face a real mission of their own! Because, while their dad is busy saving the world, arch-fiend Vinister Vile has secretly been cooking up a dastardly plan. With nobody else on hand to help, can Jonny and Tommy stop him in time? 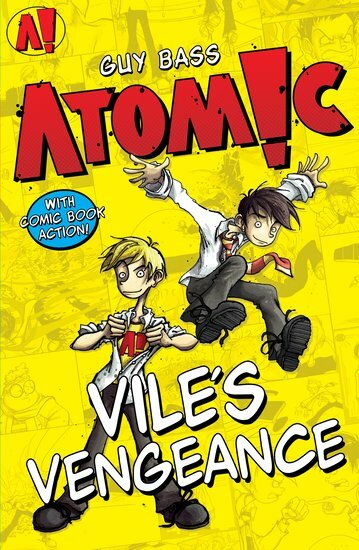 An atomic, action-packed adventure from the award-winning Guy Bass!